Medieval halberds are polearms crafted with a spiked axe blade mounted on a long shaft and a hook or thorn on the reverse side of the blade. Due to this three-part design, halberds were intended to slice, thrust, and hook opponents in battle. We offer both functional and decorative halberds here at Buying a Sword. We have ornamental halberds and similar weapons here, such as bardiches, poll axes, bills, and glaives, as well as their battle ready counterparts. Our decorative halberds make great theatrical props and unique home decor. Functional halberds and other medieval pole arms are made of high quality materials like iron, carbon steel, and hardwood to help them stand up to the rigors of combat. 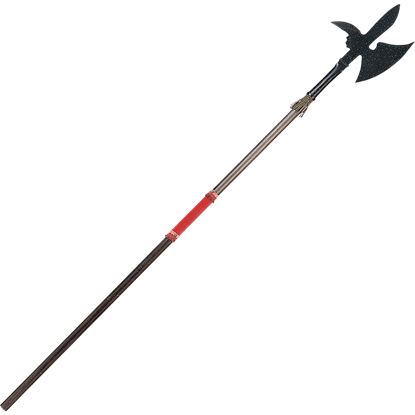 Peruse our selection of halberd pole weapons to find the perfect piece for your medieval weapon arsenal or for your medieval home decor. Known for their masterful use of halberds during the Middle Ages, the Swiss are largely responsible for its rise to popularity. 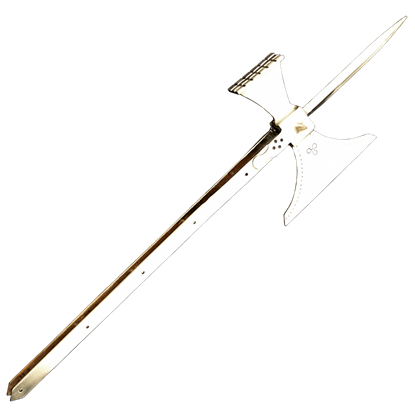 The Man at Arms Swiss Halberd by Cold Steel is battle ready, styled after the early models of this weapon. With a good sharp point that could be used to spear, a back spike that could pierce armor, and the axe head itself, this Medieval Pole Axe is a superb copy that demonstrates just how deadly a good pole axe could be. 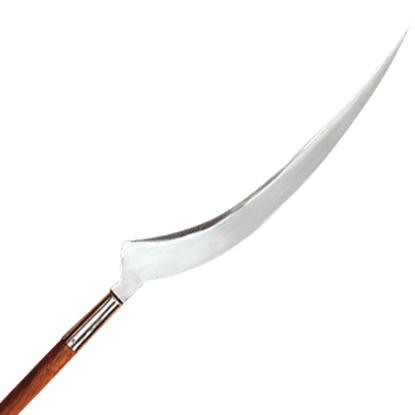 Sometimes known as a pole cleaver, the voulge was commonly used in medieval times past, particularly by the French. Now, this carbon steel Medieval Voulge Head makes it easy to recreate this historic weapon in the modern day. The Naginata, famed weapon of the Sohei, or warrior monks, of Japan was fearsome in the hands of a skilled combatant and is today of great importance in the martial arts field. 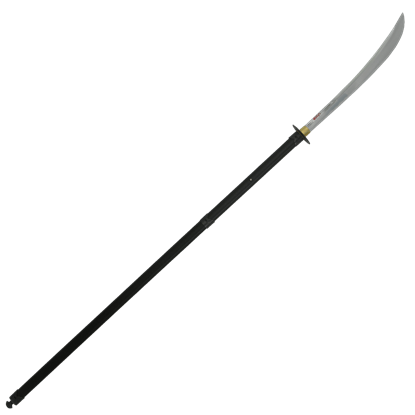 Our naginata has met the needs of the martial practitioner. This Pole Axe replicates a 15th to early 16th century museum piece. 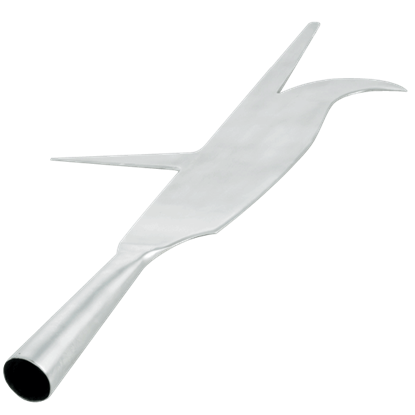 The head is crafted in 0.25 inch steel and the langets are 0.13 inches thick. 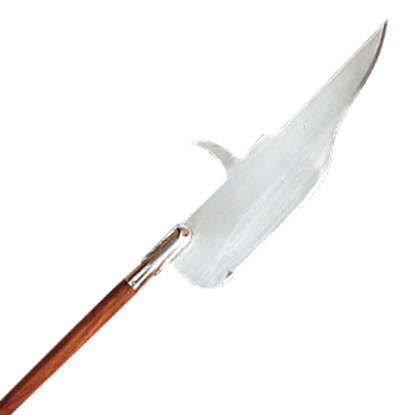 While the Pole Axe is supplied sharp, it may be modified to comply with reenactment rules. Exemplifying the style of a 16th century pole arm, the Rounded 16th Century Decorative Medieval Halberd is a stunning decoration that will radiate your fascination with the warfare and weaponry of medieval Europe. Oftentimes during the medieval era, the peasantry had to fend for themselves and so many crafted weapons by taking farm tools and repurposing them. 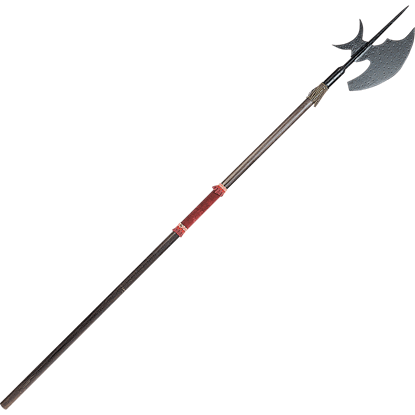 This Scythe is based on a typical farm implement that has been balanced for war. 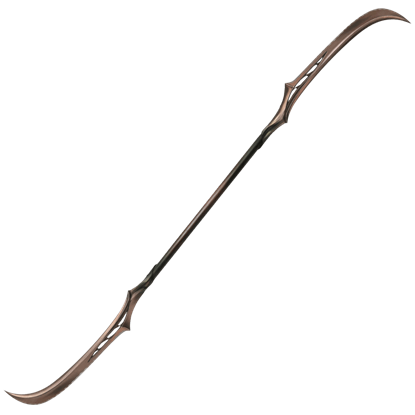 The halberd has been a staple in medieval warfare for years. 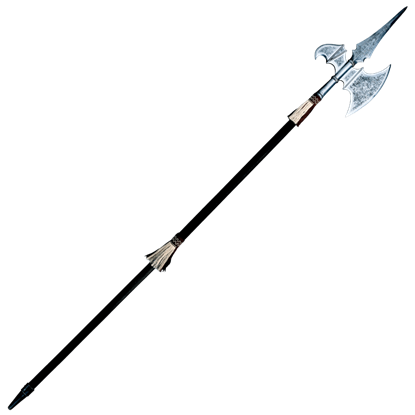 The combined functions of an axe and a spear make this a deadly armament. 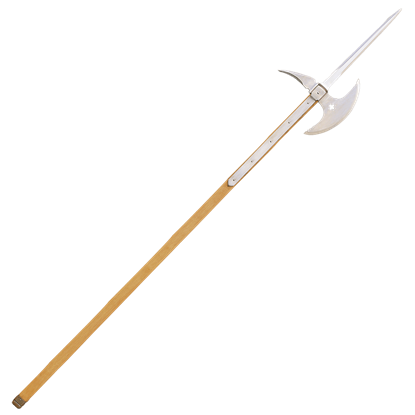 This particular halberd, the Spanish Parade Halberd, by Marto, is a reproduction of a 16th C. weapon. 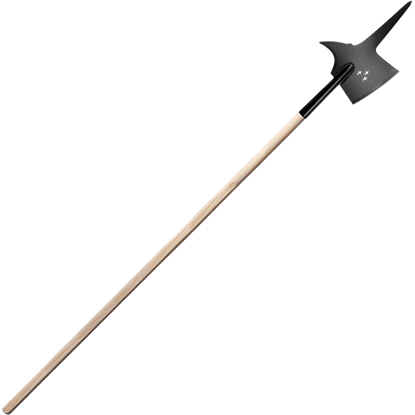 A popular weapon amongst soldiers during the medieval era, the halberd was a versatile weapon against cavalry and foot soldiers. The Spurred 16th Century Decorative Medieval Halberd is an exquisite replica of this medieval pole arm. Unlike the sword, which is purely a weapon of war, the axe is an item that has uses in both war and peace. 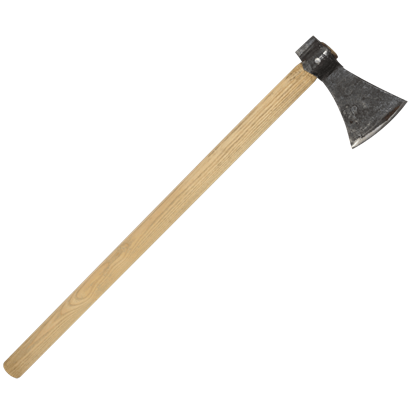 This medieval Utility Axe is a perfect example in that regard, possessing form enough to useful during both. Many pole weapons of the Middle Ages were designed by the peasants, who took hand tools and combined them with long poles to make weapons. This Voulge Gisarme is no different, combining a cleaving blade, simple hook, and a point.